Very impressed, after one day I knew this was the holster I was looking for. Tough to find a comfortable iwb for a big guy, with the roughneck and lc9s i don't even know it's there. Only problem I'm having now is deciding which one im buying next for what gun. This is exactly what I expected, I love the leather. It's easy and comfortable to wear on a daily basis. Great Holster. Light weight and very wearable. Weapon fits snug, but easy to draw. Best IWB on the market. 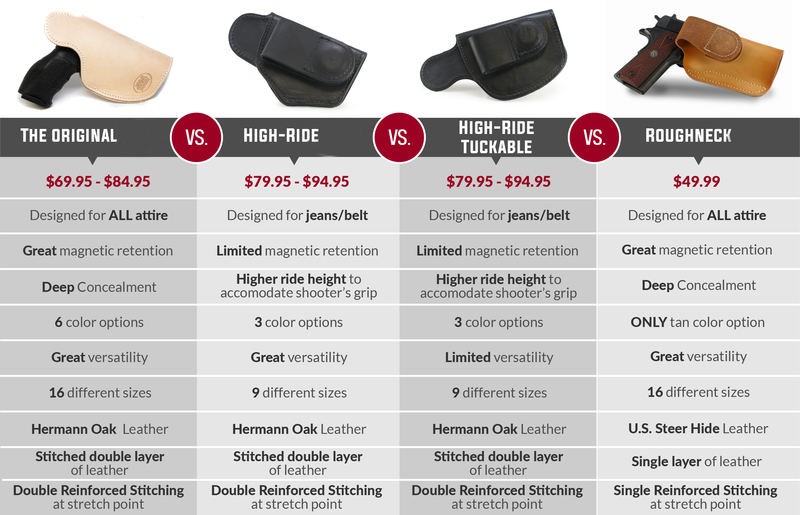 Holster is everything I wanted and more an cheaper than other holster that areof less quantity.